'Rethinking Thin' and the Myths, Realities of Dieting In Rethinking Thin, Gina Kolata, a science writer for The New York Times, examines trends in America's diet industry and some of the most basic assumptions about health, dieting and body weight. A new book tackles the questions of why it's so hard to lose weight — and why it's even harder to keep the pounds off. 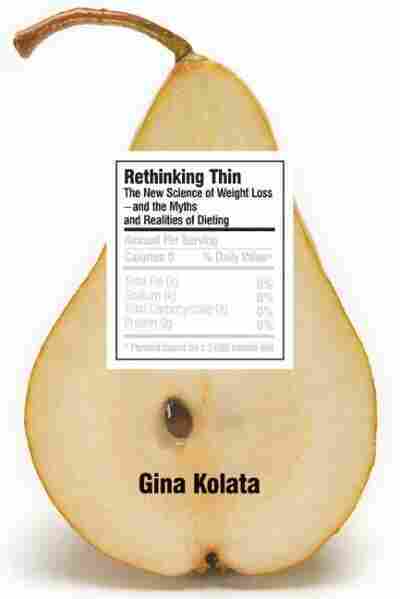 In Rethinking Thin, Gina Kolata, a science writer for The New York Times, examines trends in America's diet industry and some of the most basic assumptions about health, dieting and body weight. Kolata says that scientists have a much better understanding of the factors that lead to obesity than of what it takes to lose weight permanently. One factor is that different people have different biological "set points" and their bodies' metabolism will speed up or slow down to keep their weight in that range, Kolata explains to Michele Norris. With a diet history that encapsulated the weight loss fads of the late twentieth century, [Carmen Pirollo's] story was a prime example of the endless odyssey that sends most dieters from one popular program to another, looking for that mythical diet to end all diets, the diet that will rid them of their excess weight once and for all. "I put the article down and called within thirty seconds," he said. It was, he thought, his last best hope. This program would be something different, supervised by researchers at a leading medical center, and it would entail a responsibility, a pledge, to keep coming back for two years, a commitment to being tested, being weighed, coming to meetings with a small group of fellow dieters. Once he began, Carmen decided, the program would be more than a diet. The program would be a promise to science, and it would be almost impossible to drop out. He could barely wait to start. He was at a point of desperation. He had known what it was like to be thin, and he wanted to return to that world. The weight had crept up on Carmen over his adult lifetime. "I was skinny as a twig until right after college, as were my father and grandparents before me," he says. "It wasn't a matter of my being a jock or anything in high school and college. I wasn't on any sports teams," so it was not as if he suddenly went from an active life to a sedentary one. He suspects his weight gain was determined by his genes. "From the time I was twenty-four or twenty-five, I started to put on weight. It was all incremental. I had been 165 in college; then I went to 180. I thought that was enormously fat. Then I went to 200, and I thought that was enormously fat. When I was thirty, I weighed 210, and I thought that was enormously fat." But even though he's reached 265 pounds, he does not look lumberingly heavy, and he knows it. "That was really something that got me into a lot of trouble. People would say, 'You're not fat,' so I could have another portion of what I was eating. For me, and for a lot of men, it all ends up in front. I've got the rear end in front. Believe me, it is there." He tried repeatedly to lose weight and keep it off, starting with fad diets — the grapefruit diet, the hard-boiled egg diet, "everything that came down the pike." He called them "water-cooler diets." They are, he says, the thing you talk about at the water cooler, and that is how they spread from person to person. But they were of little help. Each time, he would lose 10 or 15 pounds, then gain them back. Carmen still has those old diets — he keeps the sheets of instructions for them in a folder in his basement the same way another person might keep old yearbooks or diaries. Each one brings back memories, like hearing an old song or smelling an aroma from your past. If he looked at an old diet, the sensations came flooding back — that wonderful feeling of iron discipline, of self-control. The giddy thrill of watching the numbers on the scale plunge. And the period of regaining that weight? It was never part of the fond memories evoked by the diet sheets. The weight gain was separate from the diet, a sign of weakness or a lack of resolve, not a problem with the diet. Over the years, as his weight inched up, Carmen began to worry about the health consequences of being fat. His father was a diabetic and had died of heart disease, and his uncle, his father's younger brother, had died of heart disease. "I just thought, Let me diet so I don't become diabetic," Carmen says. And, of course, he is concerned about his appearance. "I'm an American. We live in a society where people have to be beautiful." In 1996, at age forty-two and weighing 218 pounds, he decided it was time to try something different from those self-help water-cooler diets. What he needed was a national diet program, something you pay to join. He considered Weight Watchers, but concluded that it was not for him. Carmen lives alone in Center City Philadelphia, a vibrant area of the city, with his two dogs, Buddy and Butch, and does not enjoy preparing food. Even if he did, he insists, he would never want to be on a Weight Watchers type of diet, weighing and measuring his food, recording every bite he ate, and exerting excruciating control over his portion sizes. A better option, he decided, would be Jenny Craig, where all the work is done for you. Each week he would be given his food, every meal prepackaged, already weighed and measured. It seemed easy. "Talk about portion control," Carmen says. "Initially, you look at it and think you will starve to death. But you do acclimate to it. Being a good Catholic boy from the old days, I had no problem with regimentation." He told his counselor at Jenny Craig that he wanted to weigh 165, and managed to get there, dieting himself to true skinniness, so much so that some of his friends and colleagues at work were concerned. "Oh, I made it," Carmen says. "People thought I was sick." His Jenny Craig center even wanted to hire him to work part-time as a counselor and, of course, role model for all their clients who wondered if the system was really going to make them lose weight. But within a year after Carmen left Jenny Craig, all the pounds he lost had come back, and more. Despairing, he noticed that a custodian at his school who had always been fat was dropping pounds, fast. What, Carmen asked him, was the secret? "He said he had a doctor, a very legitimate doctor in Philadelphia, who had this new magic pill." Carmen called and made an appointment with the custodian's doctor. The pill turned out to be phen-fen, for phentermine-fenfluramine. It was a combination of an appetite suppressant (phentermine) and a drug that not only tamped down appetite but also slightly increased the metabolic rate (fenfluramine), and it was a drug treatment that was sweeping the nation. Doctors and patients were saying that this was the only diet pill they had seen that actually worked. Doctors were setting up phen-fen mills. It worked for Carmen, too; he says the weight came off effortlessly. Every week he went to the doctor, and every time the routine was the same. "I had a B12 shot, I was weighed, I got the pills. Then out you go. It was costly, but you just lose weight. I don't remember suffering in the slightest and I'd say I lost 20, 25 pounds." Carmen, it turned out, was coming in at the end of one of the great cautionary tales in the annals of weight loss in the twentieth century. Excerpted from Rethinking Thin: The New Science of Weight Loss— and the Myths and Realities of Dieting by Gina Kolata. Copyright (c) 2007 by Gina Kolata. 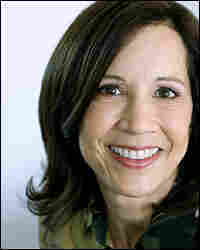 Published in May 2007 by Farrar, Straus and Giroux, LLC. All rights reserved.